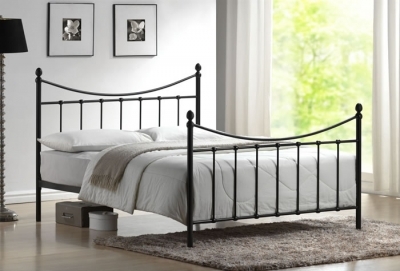 The Time Living Alderley metal bed frame with a black finish is available in 3 sizes including small double, double and king size. 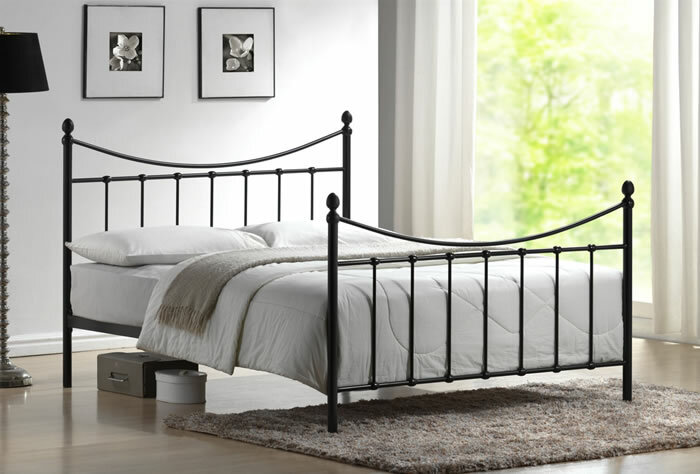 Features of the Alderley bed include a high headboard and foot end, with a sprung slatted wooden base. All fixtures and fitting are hidden on the inside of the bed to complete a smooth sleek finish.